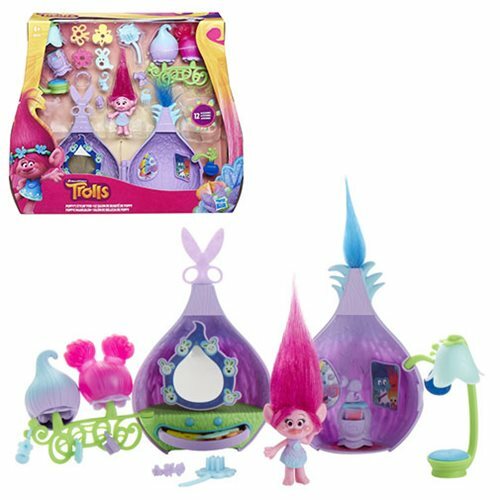 Get your hair did with the Trolls Poppy's Stylin' Pod Playset! The magical, musical beings are back with tiny details and the biggest hair you've ever seen. Style your Trolls' hair with give you a reason to sing and dance while you fashion their Troll locks! Ages 4 and up.